Four days later on 3rd February the snow has gone. 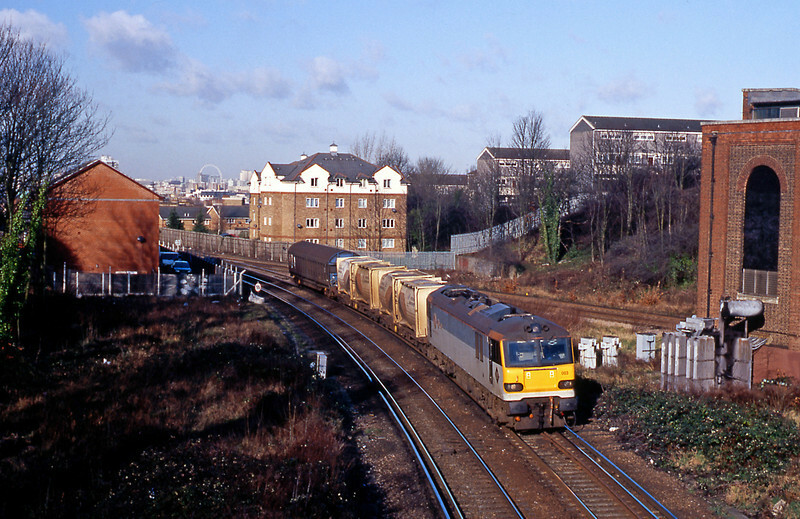 92003 is crossing Nunhead Junction with a rather lightweight wagonload service bound for Somain. The distinctive tank containers (German I think) were a regular feature of the wagonload service at the time. Later in the year I shot them on the Mossend to Wembley wagonload service at Dudswell.